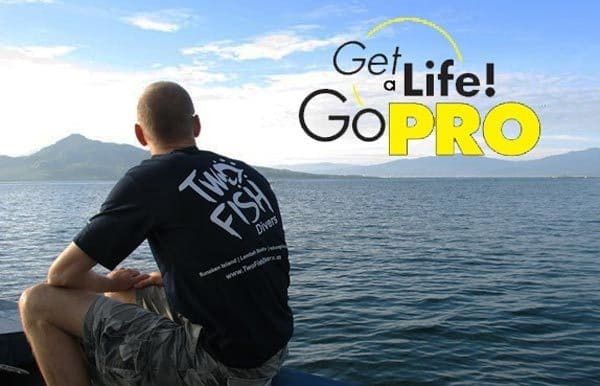 Divemaster internship - should you pay or work for it? Divemaster internship – should you pay or work for it? As the New Year begins, you may be starting to prepare yourself for that dream career-change or gap-year with the New Year’s resolution of becoming a PADI Divemaster. If so, then you may find yourself overwhelmed with all the different options that you have. Whilst working through all the different options, one big question may come to mind – should you pay or work off your DM internship? The dive centres that offer these ‘Free’ Divemaster internships often do not employ Divemasters/Diveguides as full time, paid, staff. Instead, they use their Divemaster interns in roles of Divemasters/Diveguides, and they are in effect free labour. At first this may seem like a clever idea by the company, but you need to consider the fact that locals are losing out on possible jobs.  Here at Two Fish Divers all our Divemasters/Diveguides are locals from the villages, employed full-time with a wage that they take home to their families. We also train at least 10 locals per year to become Divemaster/Diveguides, and we provide them with options for them to work around our locations. You may think to yourself; “I am young, I am sure the work is not that hard and I will be diving every day”. The reality is that you will be taking paying guests out diving, but you are a trainee at this point and learning to do a professional’s job. It is very hard work, and it takes time and practice to get things running smoothly while guiding and making sure the guests are having a good time! Also, think about it from a guest’s point of view. Will they be happy if their safety is in the hands of a beginner Divemaster Intern who is new to the area? 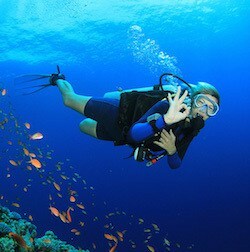 Or would they have a more enjoyable time with a professional Divemaster/Diveguide who knows the area well? Having unhappy guests can really affect your confidence as a new Divemaster.! Again, you may think to yourself; “Being thrown right into the action is the best way to learn”. 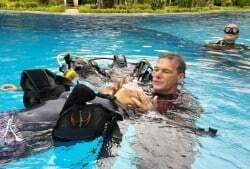 The reality is that you are sent out by yourself, without your instructor or another experienced Divemaster/Diveguide, because the company needs a person to guide and the instructors are busy with other courses. With no instructor watching over and offering advice and help, how will you develop your skills? Sending you out guiding before you are ready, with no instructor or experienced Divemaster/Diveguide to help development your skills, will definitely result in an uncomfortable dive for your guests or yourself. Remember that you are not paying for your instructor’s time so it is hard for the company to spend its resources on sending out an instructor with just a ‘free’ intern. It is because of this that interns lose that one-on-one time with an instructor. Having time with your instructor is extremely important for your development, as this is where a lot of your knowledge and experience will come from. The relationship between you and your instructor on your Divemaster Internship will be different compared to your previous courses. 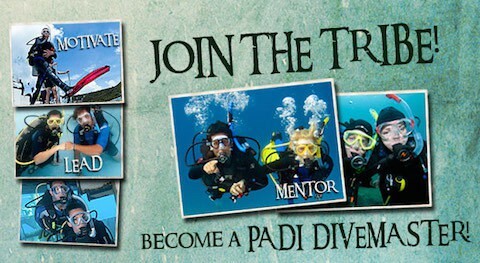 The Divemaster is the 1st professional level so your instructor will be more of a mentor, rather than just a teacher. As a result of this, knowing more about the experience of your potential instructor is very important, the more knowledge they have then the more you will gain from the course. Their experience, attitude and level are crucial to your experience. With a paid Divemaster internship the instructor is being paid to develop you, this changes your role from a cheap worker for the company, into a student for your instructor to develop. This will make your course more structured as your instructor is making time for you in the classroom and out on the boat. All these points can be effected by the situations we pointed out above. Being the one sent out guiding as a ‘free intern’ restricts the time that you have your instructor. 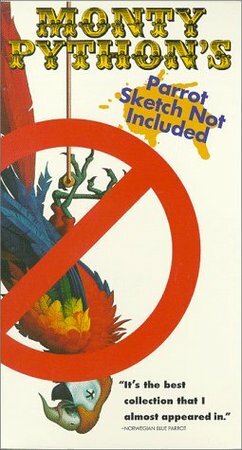 Your instructor may not be on the boat with you, meaning that you are unable to ask questions of your mentor. After a long days diving, you may be too tired for self-study or may have other ‘company duties’ like filling tanks. This then affects what you can get out of the course, therefore affecting your experience. With a paid internship with Two Fish Divers, you will have a flexible timetable that sets aside time for you to self-study as well as time with your instructor. All your actives will be done with an instructor so you will have plenty of time to ask any questions or get some advice from your mentor. This is a very important question to ask when you are looking at the free Divemaster internship option. Most of time you will get the course for free but you will need to pay for your manuals, certification and equipment as an extra. This can be an unexpected surprise for you and could throw out your year’s budget. You also need to budget for accommodation, transfers and food, which adds up quickly. This also applies to some paid internships as well, so it is a good idea to check what is not included in the internship you are looking at. 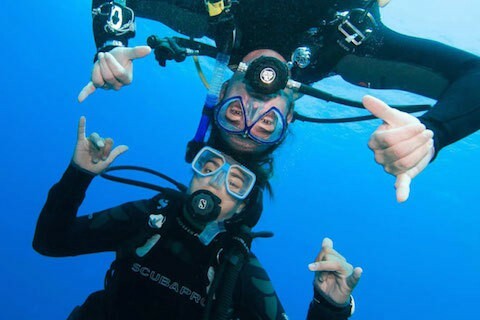 With a paid Divemaster Internship, many offer an all-inclusive internship similar to that offered at Two Fish Divers, meaning that there are no hidden costs to trip you up. We understand that you are on a budget and that you are on a years adventure, so we are here to make things easy and clean cut for you. We explain our prices in full and we also help organize transfers from the airport to your island location and accommodation. So when you arrive in a new area, we are there to help you out and take away the guess work. No need to scroll through websites or travel guides looking for the cheapest accommodation or how to get to the island, we are there to help you. This is all part of the experience of a paid internship.